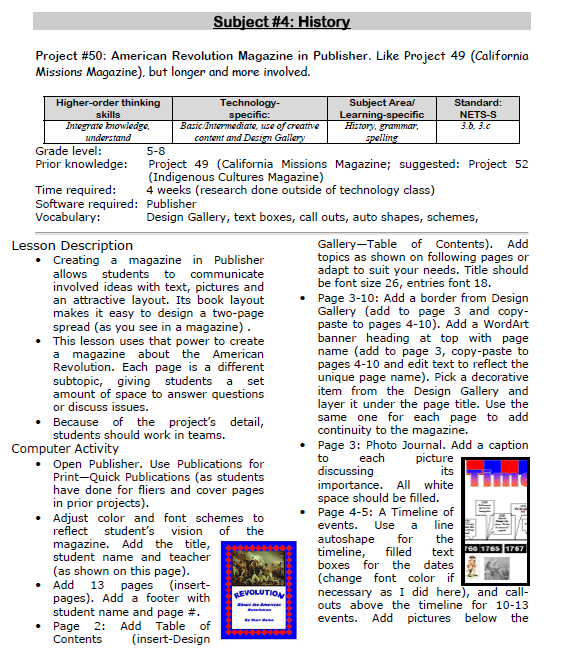 This project includes everything the student user will require throughout high school. It has so many skills, every student will find one that grabs their imagination. Reminder: Make this the second magazine they attempt (unless they’re in middle school) so they’ve had some practice with the more basic skills. You might try the California Mission magazine one year and this the next. 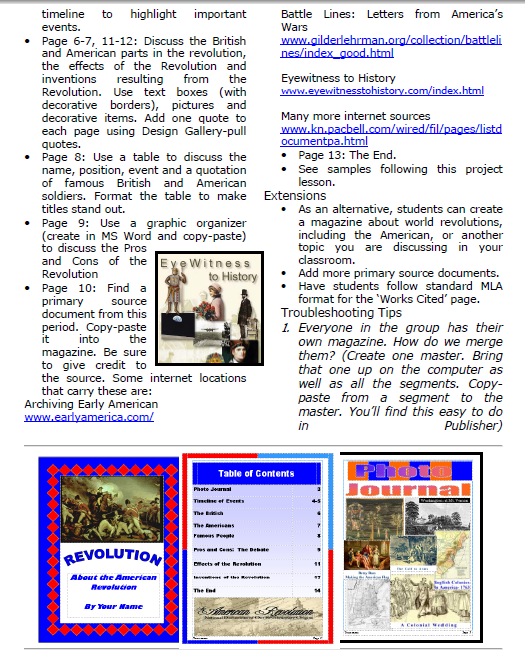 If the lesson plans are blurry, click on them for a full size alternative. Jacqui Murray is the editor of a technology curriculum for K-fifth grade and author of two technology training books for middle school. She wrote Building a Midshipman, the story of her daughter’s journey from high school to United States Naval Academy midshipman. She is webmaster for five blogs, an Amazon Vine Voice book reviewer, a columnist for Examiner.com, Editorial Review Board member for Journal for Computing Teachers, IMS tech expert, and a weekly contributor to Write Anything. Currently, she’s looking for an agent for a techno-thriller she’s finally completed. Contact Jacqui at her writing office, WordDreams, or her tech lab, Ask a Tech Teacher. 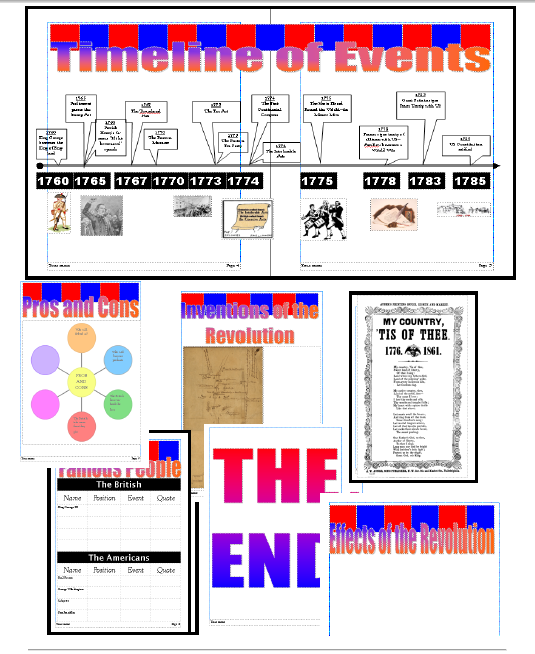 Tags: american revolution project, eighth grade, fifth grade, lesson plans, projects, publisher project, seventh grade, sixth grade. Bookmark the permalink.